President Trump has called Twitter a "wonderful thing" because it lets him speak directly to the people. But on numerous occasions, Trump has found a more troubling use for his Twitter (TWTR) account: attacking the people he doesn't like. 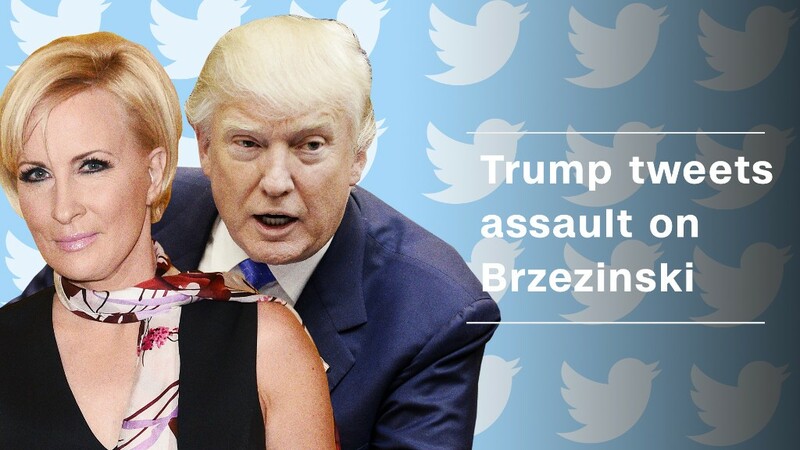 The latest incident took place Thursday morning when Trump disparaged Mika Brzezinski, co-host of MSNBC's "Morning Joe," in a series of tweets shared with his nearly 33 million followers. Trump called her "low I.Q. Crazy Mika" and claimed she and her co-host Joe Scarborough tried to court him for an interview around New Year's. "She was bleeding badly from a face-lift. I said no!" the president wrote on Twitter. The posts once again set off some calls for Twitter to suspend Trump's account. However, the chances of it happening are low. For starters, Twitter's policies leave plenty of gray area. According to its rules, Twitter may suspend an account for a number of reasons, including if the user makes violent threats; attacks people based on race, religion, gender and more; or engages "in the targeted abuse or harassment of others." If Trump's tweets about Brzezinski are at risk of violating any part of this policy, it would likely be the rules against harassment. But here it may be useful to compare Trump's Twitter behavior to another high-profile account: Martin Shkreli. Shkreli, the infamous former pharmaceutical executive, was kicked off Twitter earlier this year for "targeted harassment" after making unwanted advances toward journalist Lauren Duca. Shkreli sent multiple direct messages to Duca on Twitter and added pictures of her to his Twitter profile. Trump, as far as we know, has not messaged Brzezinski directly. The "primary purpose," as Twitter phrases it in the rules, of Trump's account does not appear to be harassing Brzezinski. And Trump's remarks, while offensive, do not include threats against her. 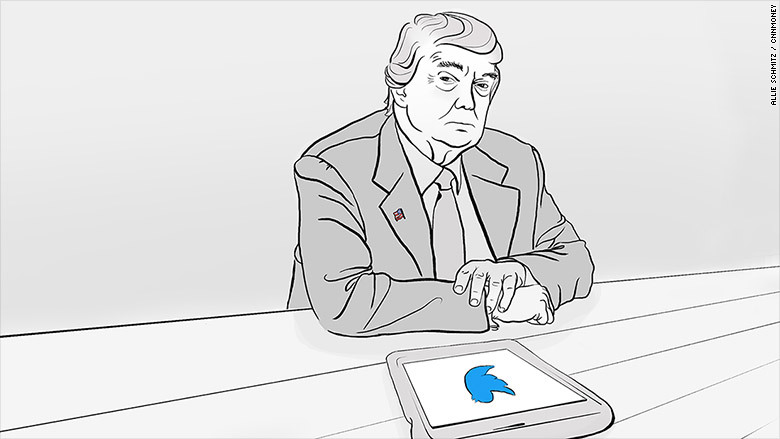 So how close is Trump to actually being in violation of Twitter's rules? Twitter won't say. "We don't comment on individual accounts, for privacy and security reasons," a spokesperson for Twitter said in a statement provided to CNN Tech. Reps for the White House did not immediately respond to a request for comment. "I'm sure the Twitter team loathes how the product is being used by Trump," says one former Twitter executive, who spoke on condition of anonymity. But "if they suspend his account, they'll have to do this consistently with other harassment accounts, which is impossible." Twitter has struggled to crack down on harassment on the platform for years. The stakes in this case are even higher: If Twitter were to block Trump, but miss other accounts acting similarly, the company would be accused of acting politically. And then there's the simple fact that Trump is good for business. "From a business standpoint, it doesn't make sense, since half of the user growth delivered in the March quarter was politically driven," says James Cakmak, an analyst who covers Twitter for Monness, Crespi, Hardt & Co. When Twitter CEO Jack Dorsey was asked earlier this year about the possibility of blocking Trump, he stressed that the company holds all accounts "to the same standards." But then he added an important caveat. "Our policy does [account for] newsworthiness as well, and that was requested by our policy team," Dorsey said in an interview. "So we're not taking something down that people should be able to report on and actually show that this is what the source said." Almost by definition, everything the president of the United States tweets is newsworthy -- including a shocking attack on a news anchor.